Today brings a double-barrel of EngageSportMode goodness at either end of the automotive economic spectrum. So whether you’re scrimping by on £30k worth of benefits from your seven children, or if you’re Fred Goodwin, there’s something for everyone. Anyway, without further a topical money slur, let us proceed. The clue for this is very much in the title. Unless you are a former banker, having thousands and thousands to fritter away on cars doesn’t come easily. Instead for many the budget end of the market is where the action is really at. So what offerings does the ever faithful Pistonheads bring forth on this occasion? Confession time. 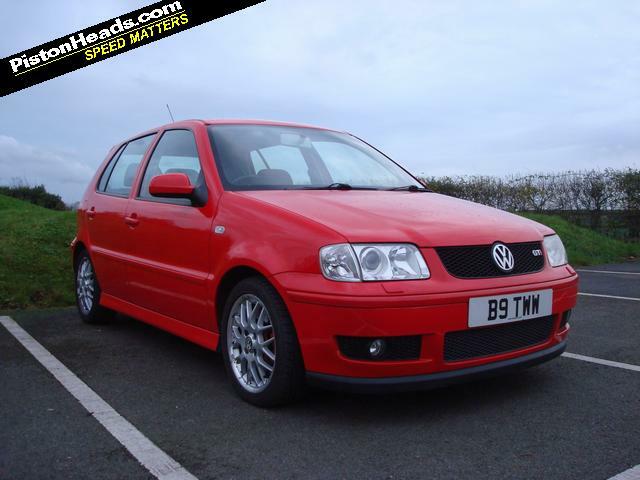 I used to own a 6N2 Polo GTi, in red, so I do tend to have a real soft spot for them. It’s one of the first listing sections I always check to see if my old car has appeared for sale. Without a doubt it was the best car I’ve owned so far and the only one I regret selling. Admittedly it wasn’t the quickest little hatchback, but it did offer some GTi-esque thrills on a limited student budget. There are a few downsides to this one; the fact it’s a five-door, the lack of a mention about whether the cambelt tensioners have been replaced and the typically scabby BBS wheels. But, given that I now drive a five-door, that I’d safely assume the cambelt has been done (otherwise it’d have detonated by now) and that I’ve refurbished worse wheels before, this little pocket GTi could be a winner. Verdict: I could, and would, but perhaps you shouldn’t try to recapture your youth. Next! After last weeks Auris Hybrid experience, another silvery/grey mid-size Toyota washes across the shores of EngageSportMode. The Corolla T Sport was Toyota’s stab at the Civic Type-R back in 2002. Using the Celica’s 189BHP engine (as the advert points out) and a close ratio six-speed gearbox, the T Sport managed to wallow its way to 60MPH in 8.4 seconds. Which, to be honest, is about as fast as the Polo GTi above. Whilst the power may have been close to the magic 200 marker, torque languished in the 130’s. As contemporary road tests pointed out the juxtaposition of “wring its neck” power delivery didn’t really mate with the more mature attitude of the Corolla. But, as a modern-day ownership proposition, there are some merits to this forgotten vehicle I guess. 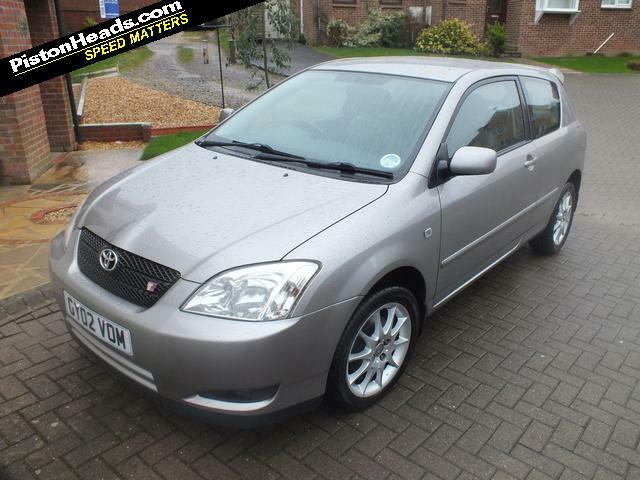 For just over £2,000 you get a full leather interior, air conditioning, iPod connectivity and the safety of Toyota build quality. And, like yesterday’s Honda Prelude, there is a certain stealth element to it. Like the Spanish Inquisition, no one expects the Corolla. Verdict: That the car is advertised as being in Blandford tells me enough to say no. Having tackled the sub-prime end of the market, lets now take a look at the dizzy heights of true lottery-win performance. I spend a lot of time thinking about what cars I’d have should I ever get all six numbers, and the vehicle below features highly in that list. The first generation Superleggera was the version which made me start taking the Gallardo seriously. Prior to this pared down (Superleggera translates as super light) model, I’d dismissed the Gallardo as a mere folly to the big-dog Murcielago. But then this arrived; festooned with carbon fibre and bristling with fight. This was the Gallardo with its heckles up; 100kg lighter and packing an extra 10BHP to boot. Now that we’ve established the heritage of this four-year old bull, what does this arancio borealis coloured beauty have to offer? Well, the advert itself appears to lift a lot from the 2007 EVO road test which suggests either lazy research or a true devotion to said automotive journal. Even down to the mention of the Macrolon rear window. Were I in a position to spend £120k, the gangsta’ window tints, aftermarket scissor doors and upgraded sound system would concern me. Why spend so much buying a lightweight, stripped-out special edition, to then pile the weight back on with 12″ subwoofers housed behind the front seats? Surely that sonorous V10 should be audio enough? At least it suggests cruising not heavy track-day usage was the life for this baby Lambo. Verdict: If I had 120 large it would go on a Superleggera. Just not this exact one; one without a subwoofer for a start. So there we have it. Three car adverts ripped apart and digested by the Court of Public Opinion. No cheque books were opened in the making of this post.